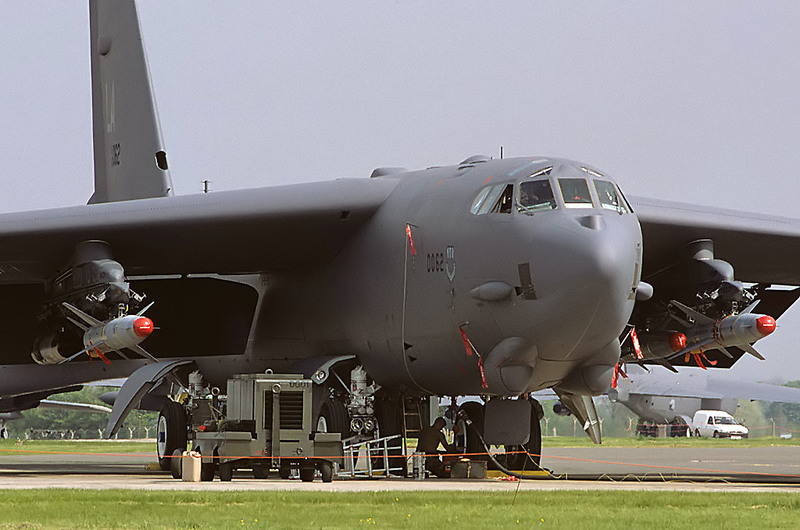 By no means complete but here is a selection of shots from myself & dad of the various deployments of Buffs to the UK from the late seventies to the 2003 ‘Operation Iraqi Freedom’ deployment. I'll split the topic into two parts this up to 'Operation Desert Storm' in 1991. 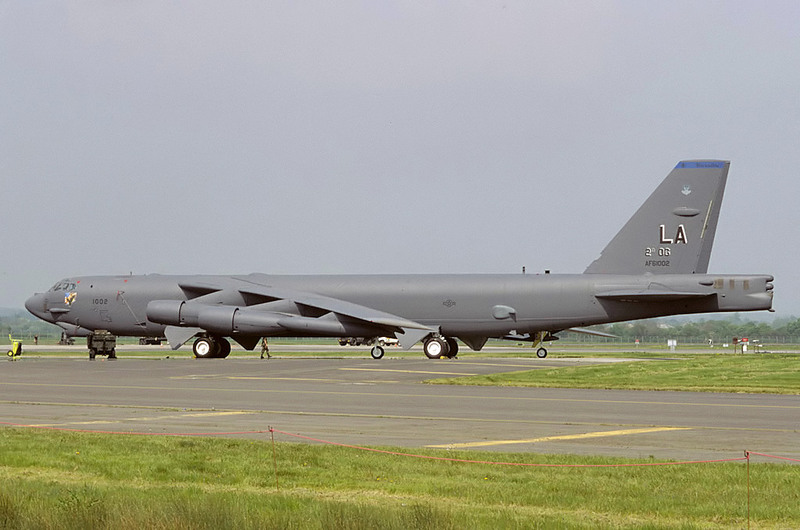 #1 From the 28th Bomb Wing, based at Ellsworth AFB, South Dakota. 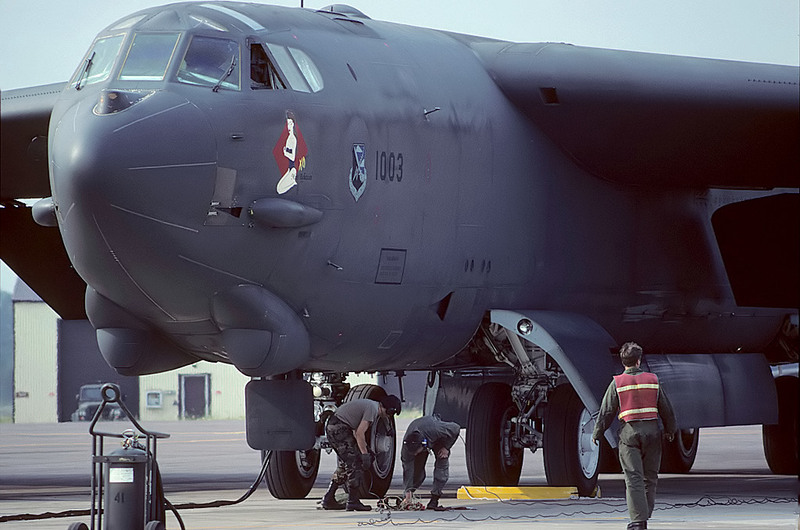 Seen here shortly after arriving for the joint USAF/RAF Bombing Competition. 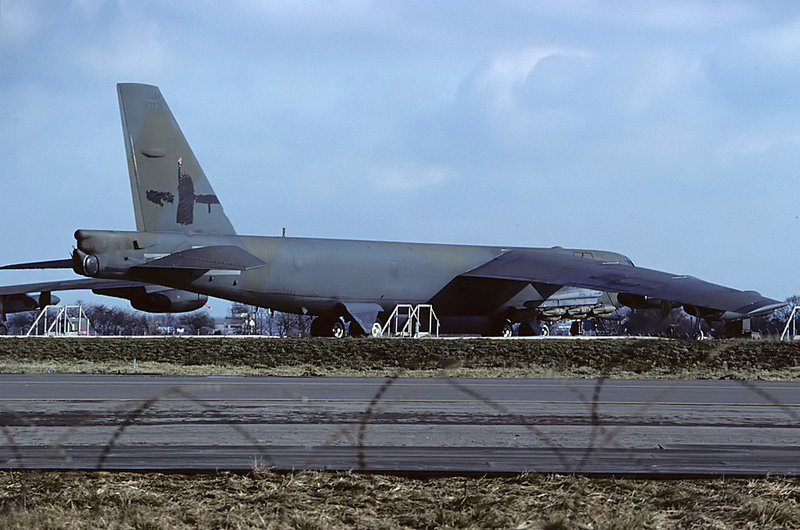 #2 From the 410th Bomb Wing based at K.I.Sawyer AFB, Michigan, seen arriving for the joint USAF/RAF bombing competition. 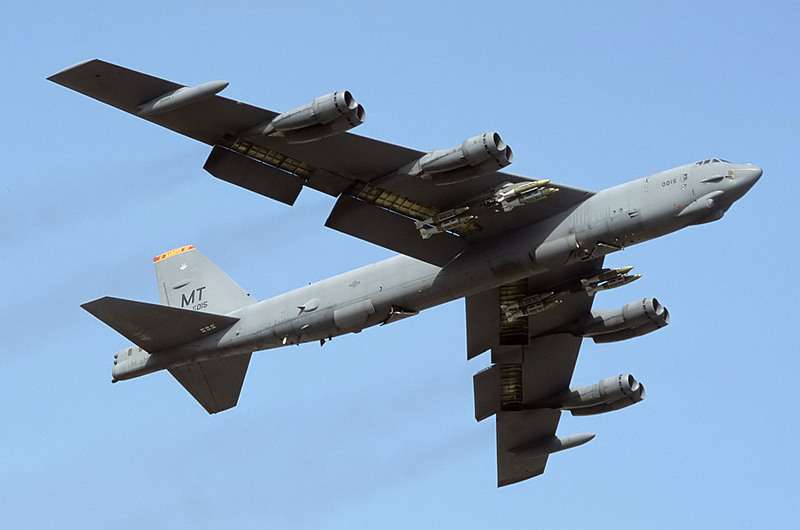 #3 From the 28th Bomb Wing, based at Ellsworth AFB, South Dakota. 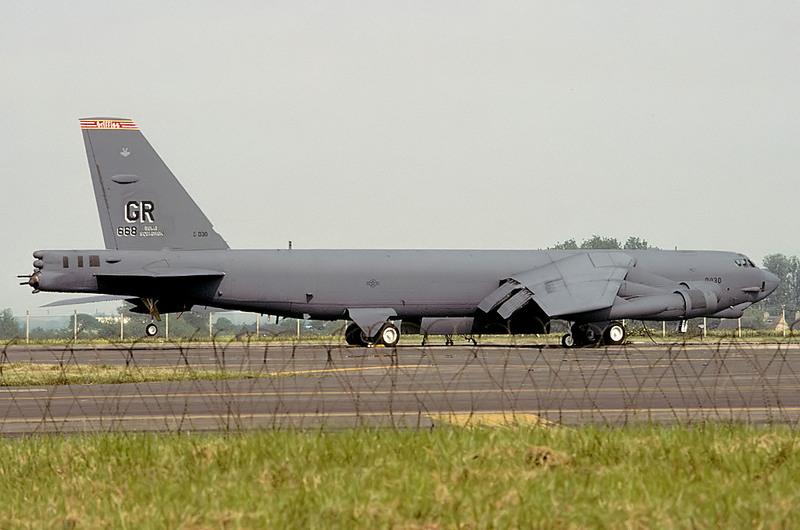 Seen here shortly after arriving for the joint USAF/RAF l Bombing Competition. 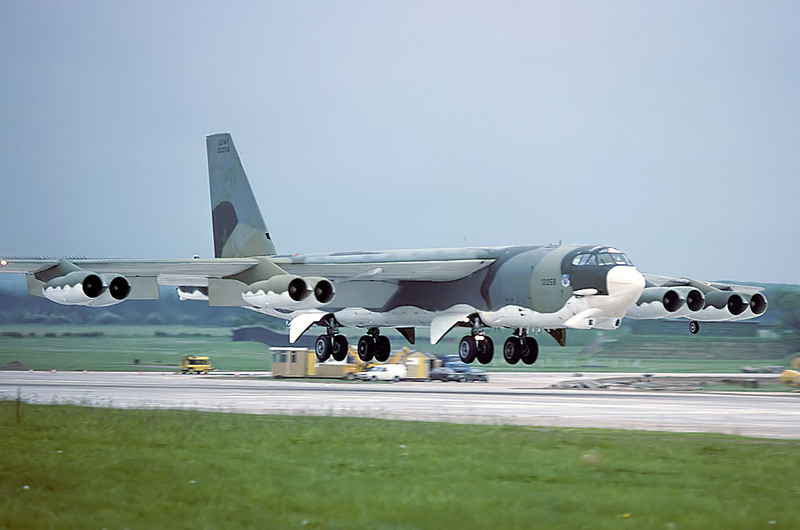 #4 From the 22nd Bomb Wing based at March AFB, California, seen on the glide path to runway 08 at the commencement of a 'Busy Brewer' exercise. 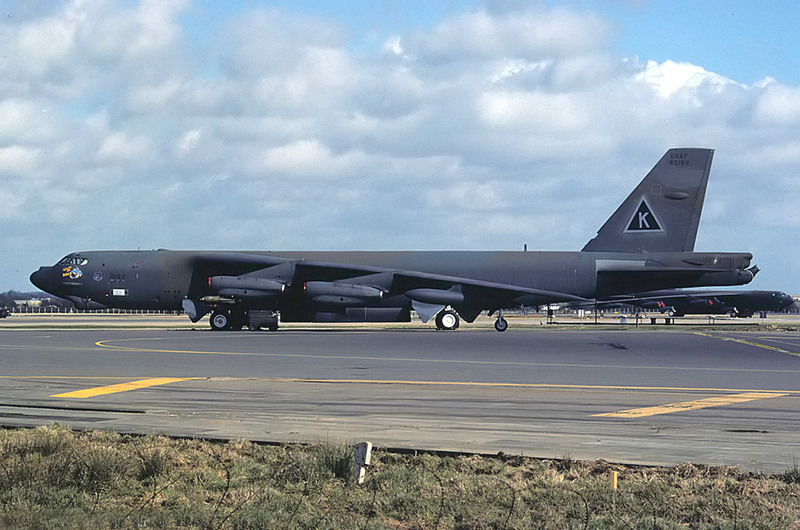 #5 Belonging to the 22nd Bomb Wing based at March AFB, California also caught during a 'Busy Brewer' exercise. 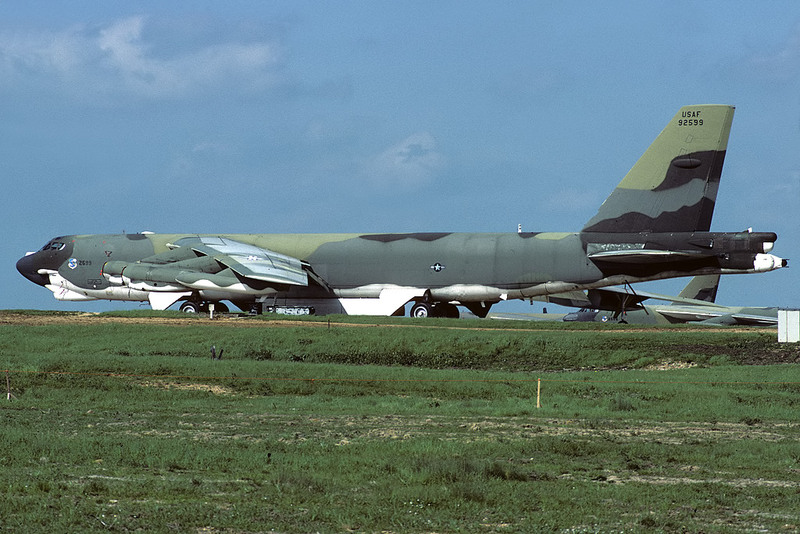 #6 From the 7th Bomb Wing based at Carswell AFB, Texas, seen during another 'Busy Brewer' exercise. 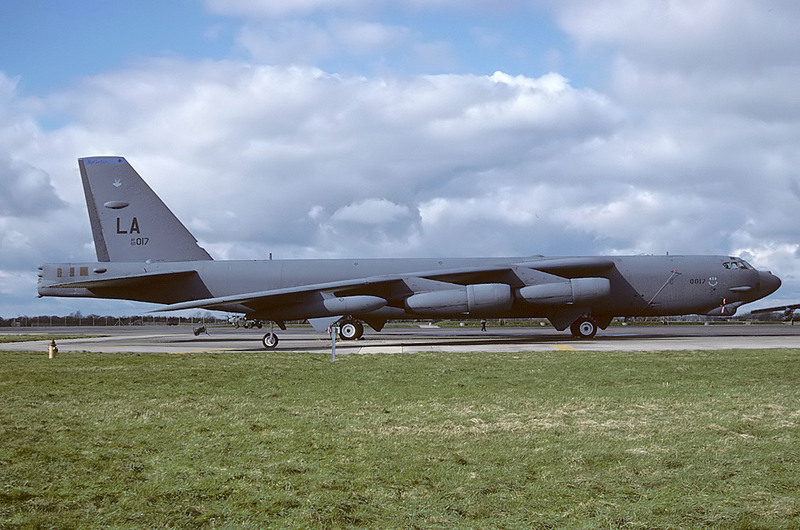 #7 Of the 410th Bomb Wing based at K.I.Sawyer AFB, Michigan. 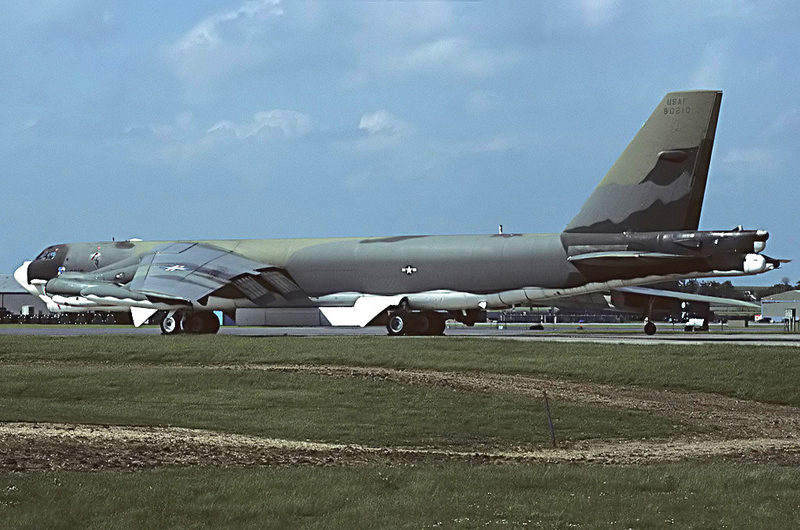 Seen here wearing D-Day markings shot at IAT81, I belive there was a deployment at RAF Marham at the time? 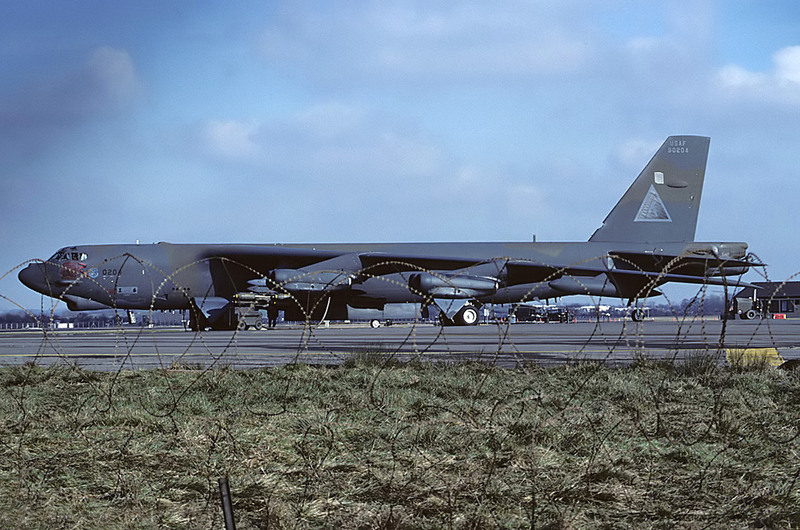 #8 Belonging to the 28th Bomb Squadron/19th Bomb Wing, based at Robins AFB, Georgia, seen landing following a mission during the ' Busy Brewer ' exercise. 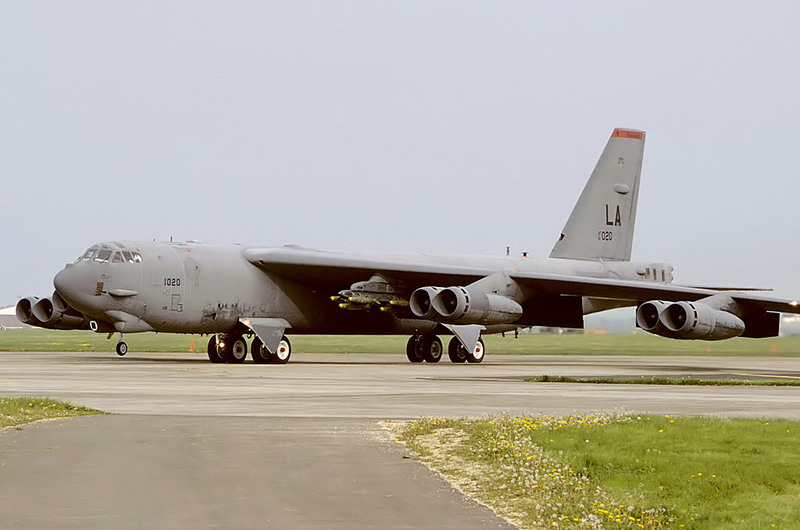 #9 Of the 42nd BW, based at Loring AFB, shot on the ground taking part in the ' Busy Brewer ' exercise. 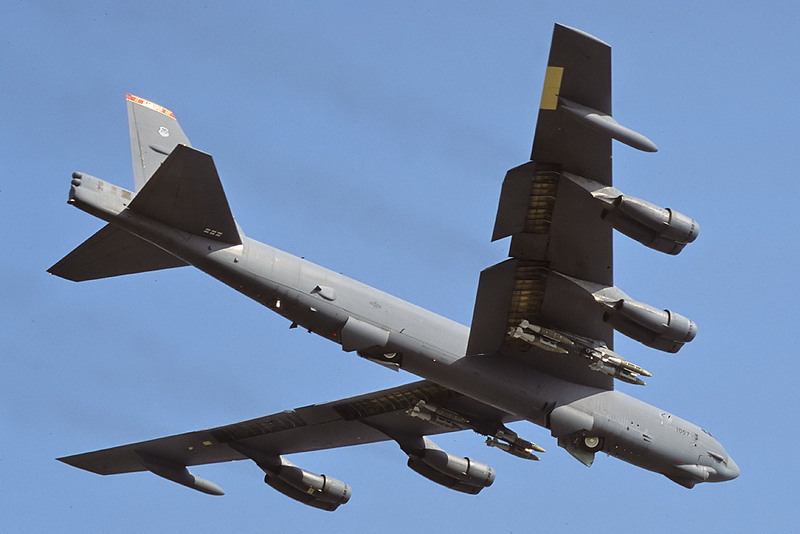 #10 Belonging to the 2nd Bomb Wing. 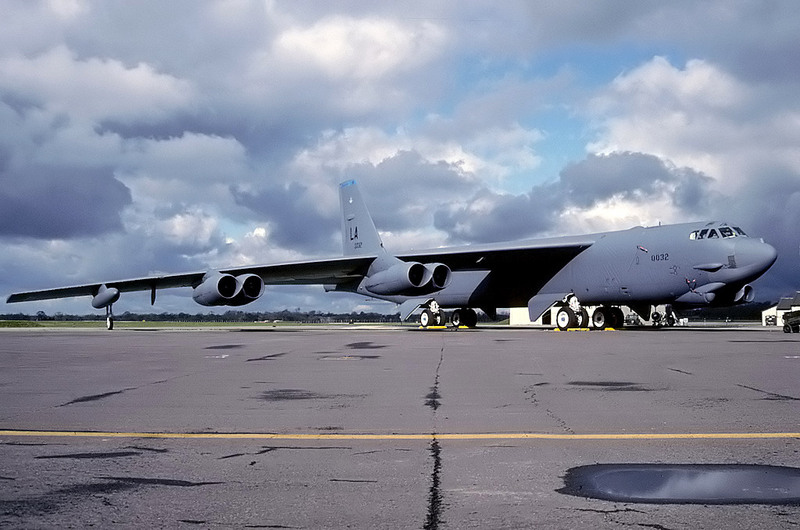 based at Barksdale AFB. Shot during another ' Busy Brewer' exercise. 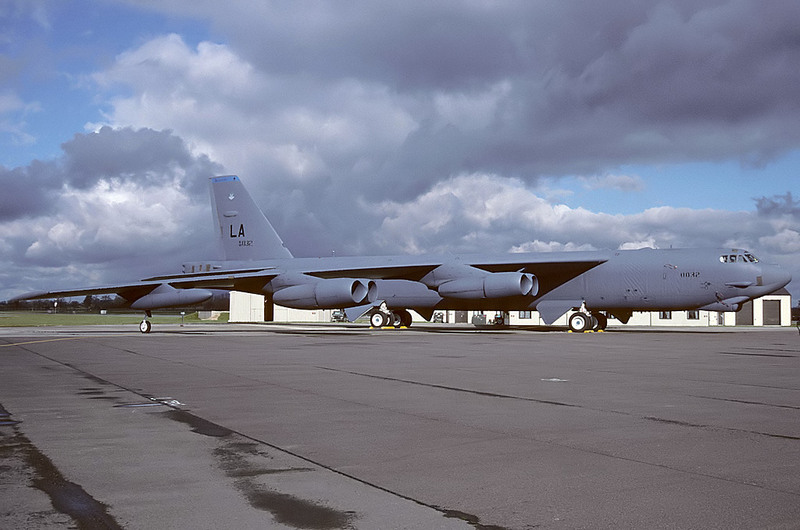 #11 Belonging to the 2nd Bomb Wing. 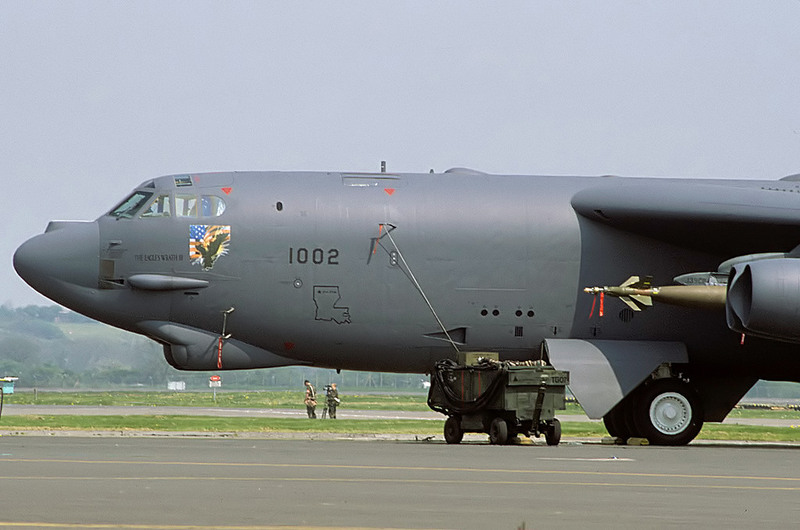 based at Barksdale AFB. Shot during another ' Busy Brewer' exercise. 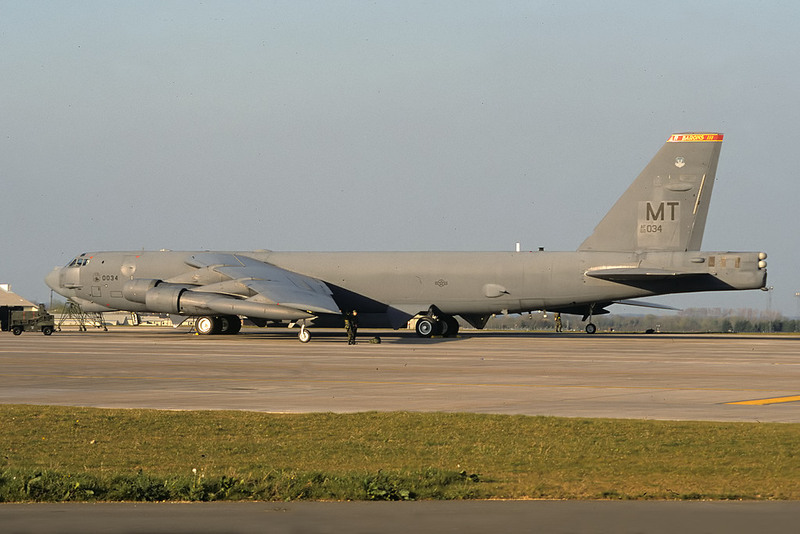 #12 Belonging to the 2nd Bomb Wing based at Barksdale AFB, Louisiana, seen shortly after arriving for the 'Busy Brewer' exercise. 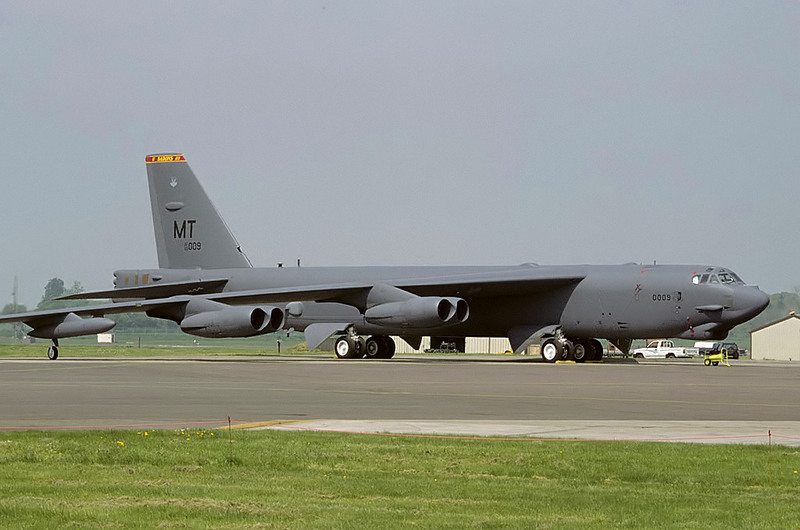 #13 Belonging to the 2nd Bomb Wing based at Barksdale AFB, Louisiana, seen arriving for the 'Busy Brewer' exercise. 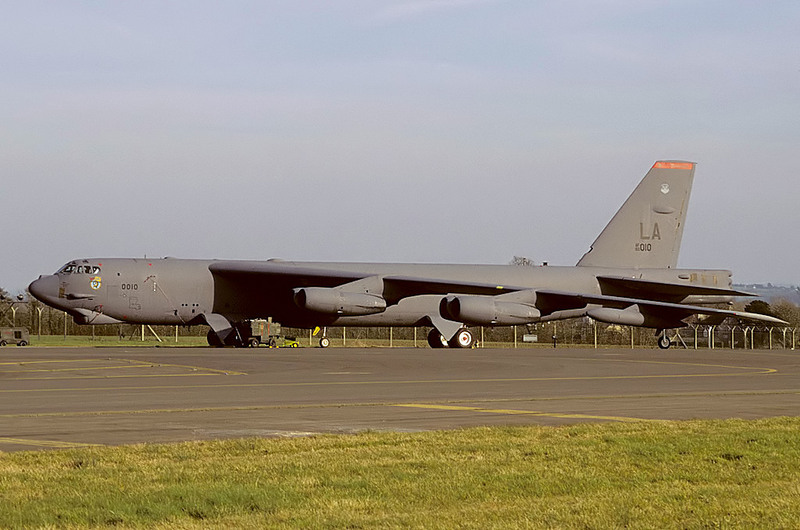 #14 Belonging to the 2nd Bomb Wing based at Barksdale AFB, Louisiana, seen during the 'Busy Brewer' exercise. 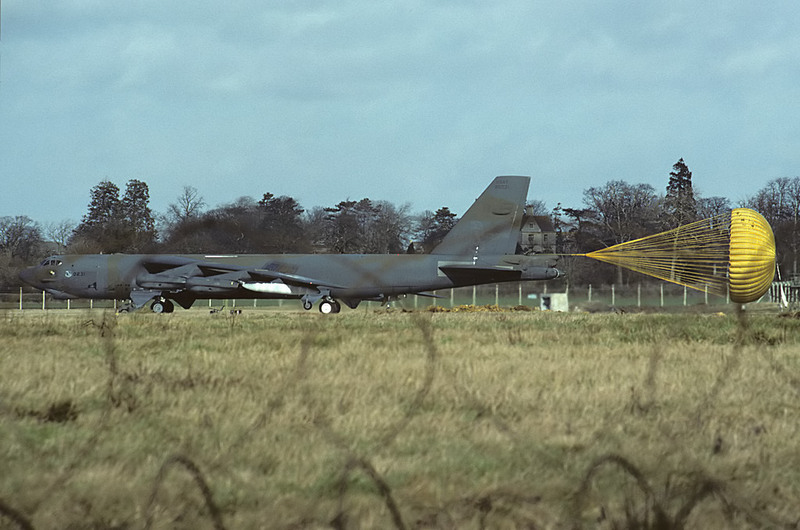 #15 These last few are shot at Fairford during ' Operation Desert Storm' February 1991, the last a very spirited take-off on the first active mission to Iraq, pretty scary considering there was live ordinance under the wings. Last edited by bigcrow on Fri 23 Jan 2015, 1:07 pm, edited 2 times in total. Already loving this thread. Thanks for sharing Stu, please keep them coming. 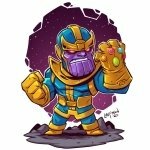 Very nice thread... Keep em coming!! Stunning stuff, especially the last one. As promised here is the second part from 1993 to 2003. Again a mixture of mine & my late dads shots. 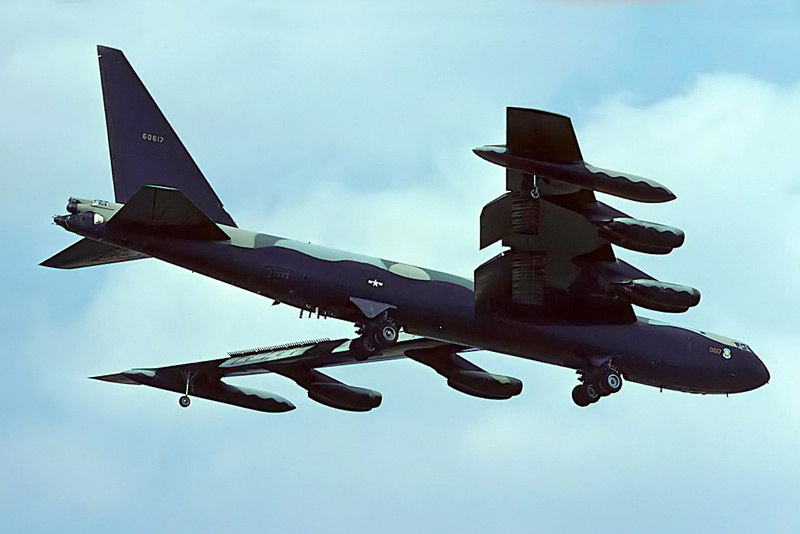 #26 From the 20th Bomb Squadron/2nd Bomb Wing based at Barksdale AFB, Louisiana. Seen here on a very cold day taking part in the exercise 'Strong Resolve'. 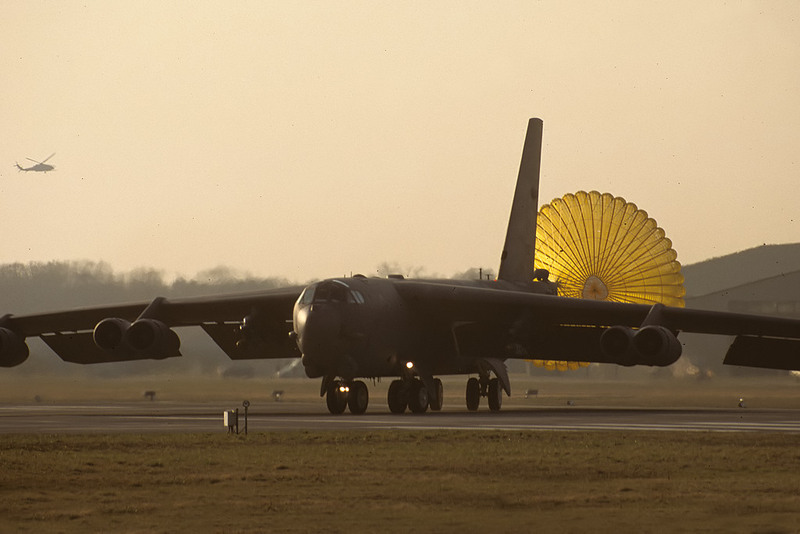 #27 From the 20th Bomb Squadron/2nd Bomb Wing based at Barksdale AFB, Louisiana shot during the exercise 'Strong Resolve'. 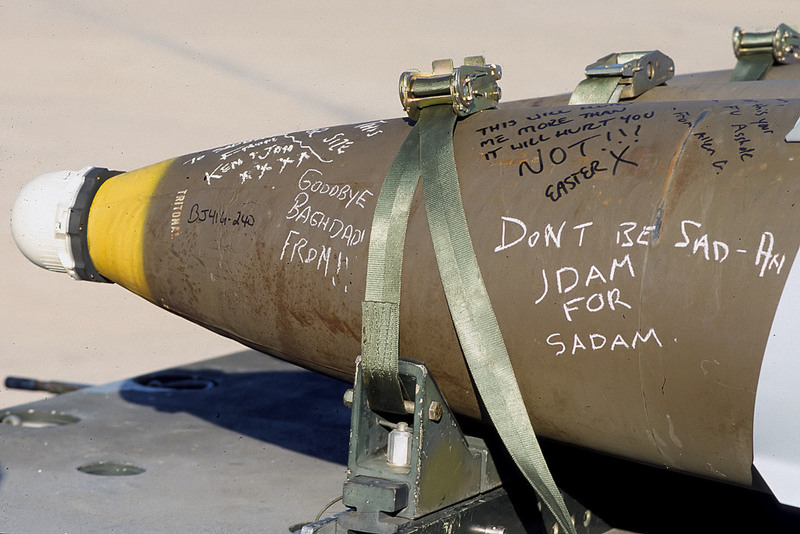 #28 From the 20th Bomb Squadron/2nd Bomb Wing based at Barksdale AFB, Louisiana shot during the exercise 'Strong Resolve'. 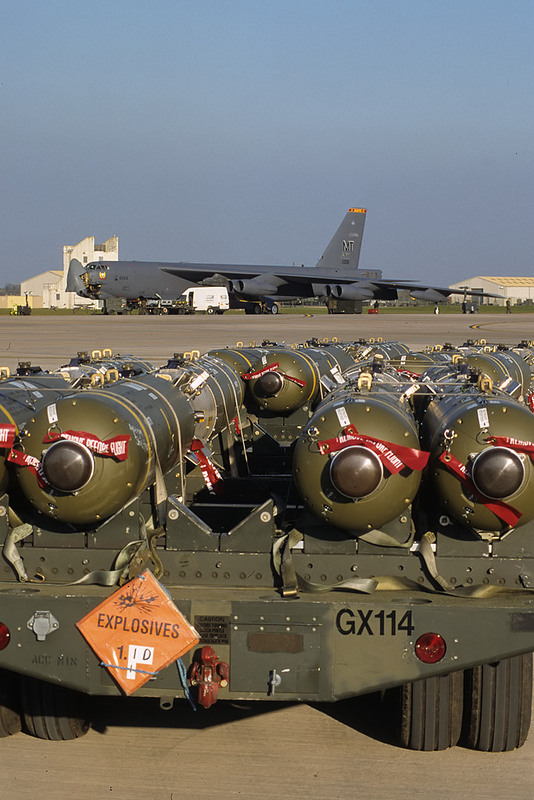 #29 From the 20th Bomb Squadron/2nd Bomb Wing based at Barksdale AFB, Louisiana shot during the exercise 'Strong Resolve'. 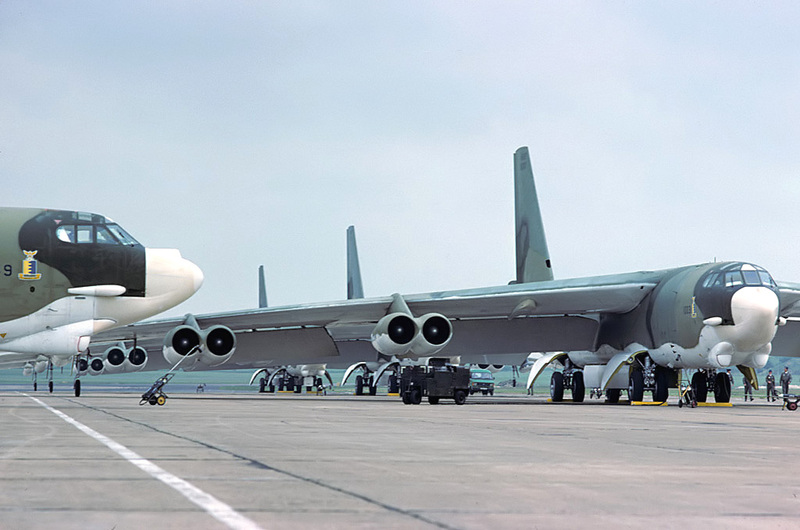 #31 Of the 2nd Bomb Wing based at Barksdale AFB, Louisiana, seen here being flight prepped. 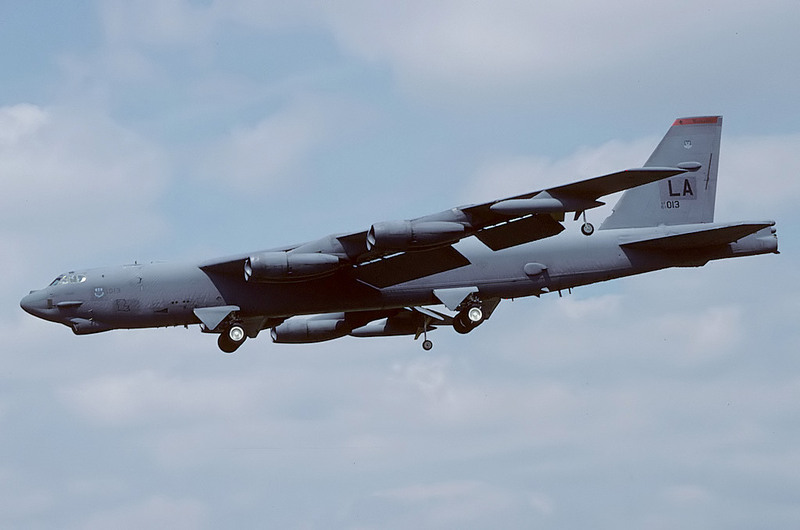 This was one of six B-52Hs which had arrived on 11.10 ("Havoc 11-16") as a show of strength against the Serbian Government regarding human rights violations in Kosova. Serbian forces were withdrawn shortly afterwards. 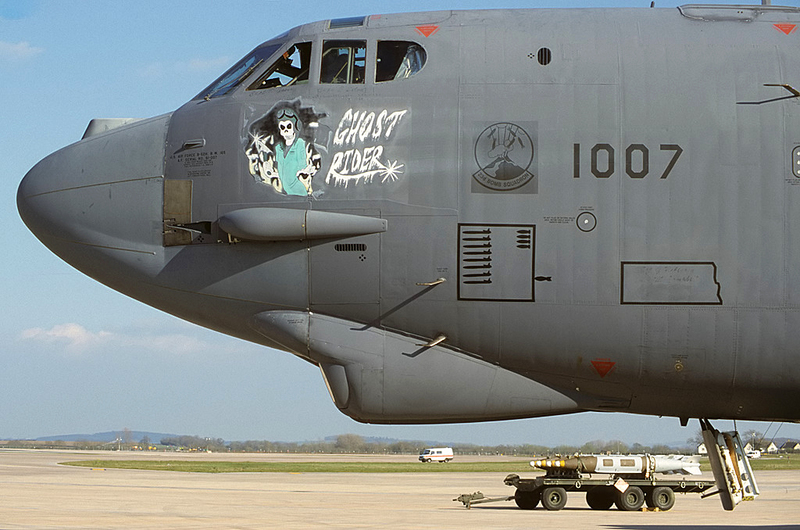 Interestingly it still carries this nose art today as noted at last years deployment to Fairford. 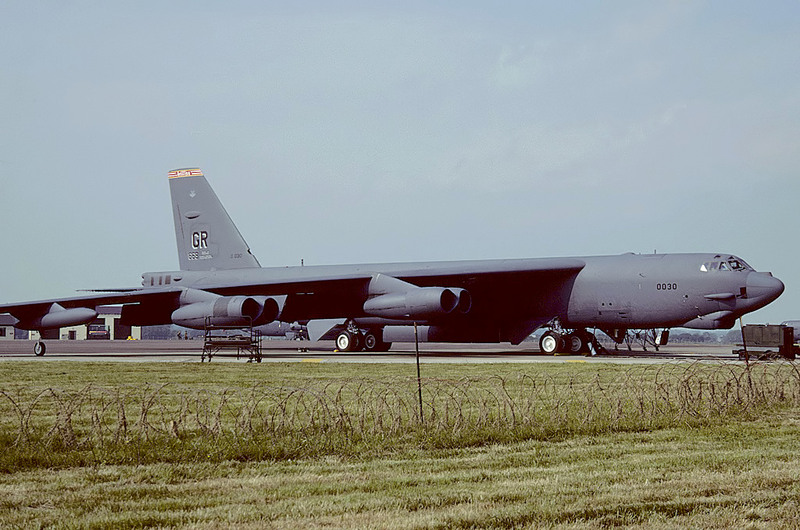 #32 Of the 2nd Bomb Wing based at Barksdale AFB, Louisiana. 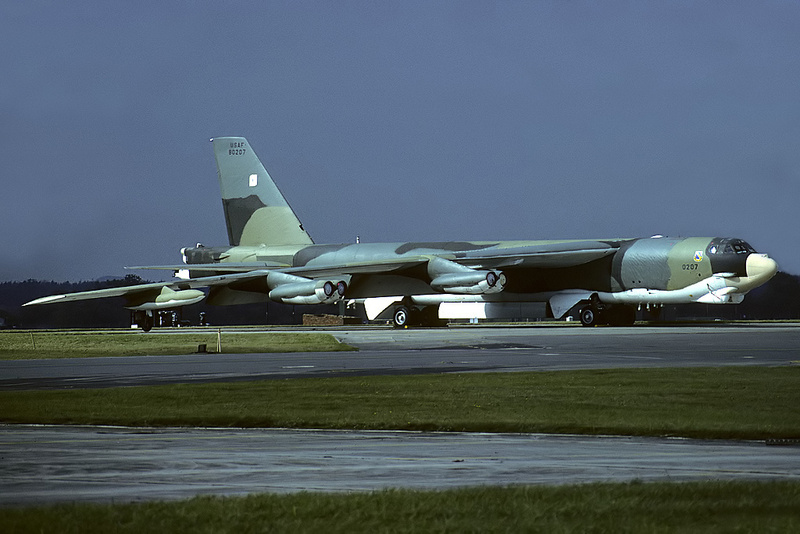 Seen here at rest in the evening sun awaiting a bombing mission during Operation Noble Anvil (the bombing of Serbia). 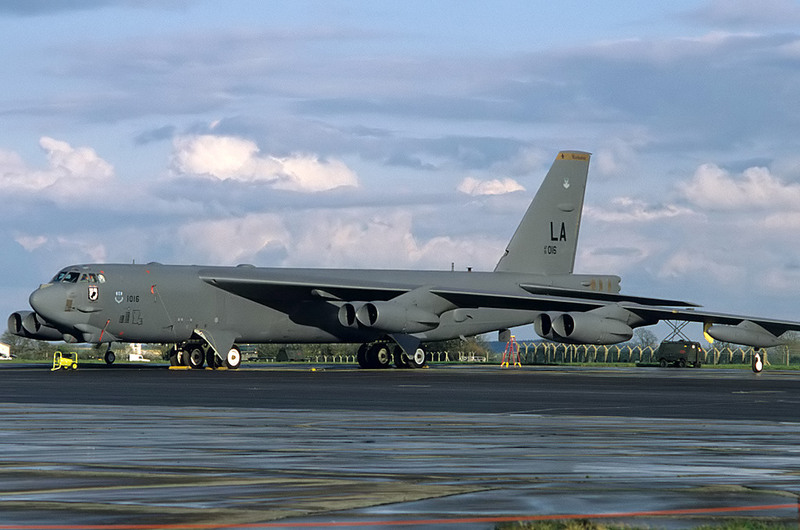 This aircraft arrived at RAF Fairford on 21.2.99 as callsign "Havoc 03". 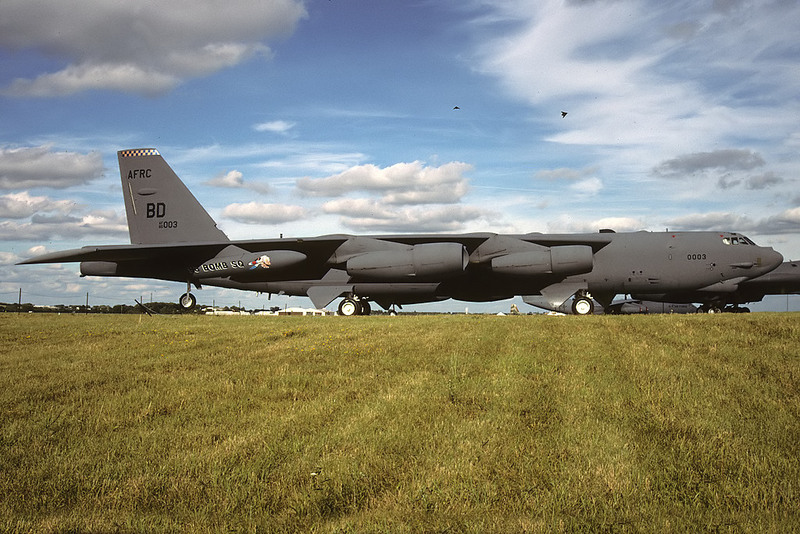 #33 Of the 5th Bomb Wing based at Minot AFB, North Dakota. 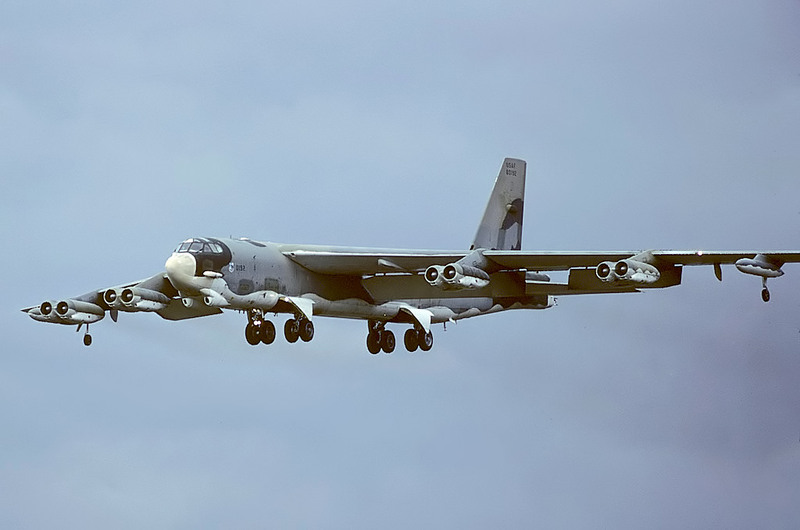 Seen here while taking part in Operation Noble Anvil (the bombing of Serbia). 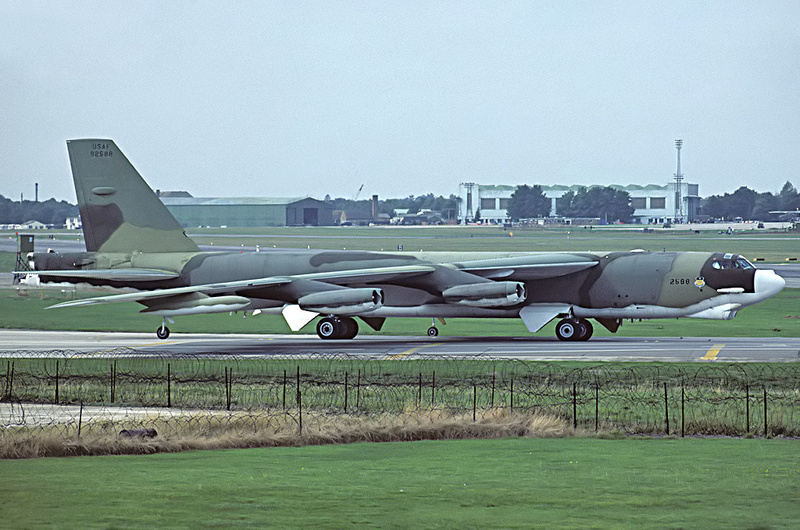 This aircraft arrived at RAF Fairford on 29.3.99 as callsign "Edwin 22". 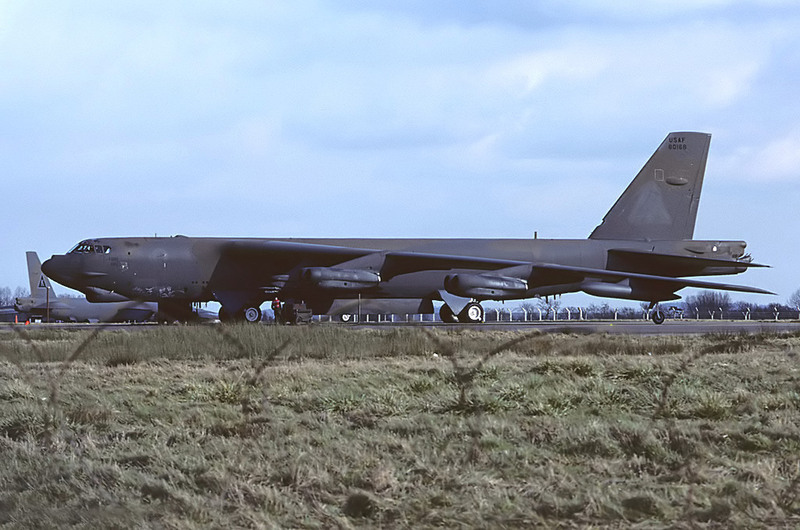 #34 Of the 11th Bomb Squadron, 2nd Bomb Wing. 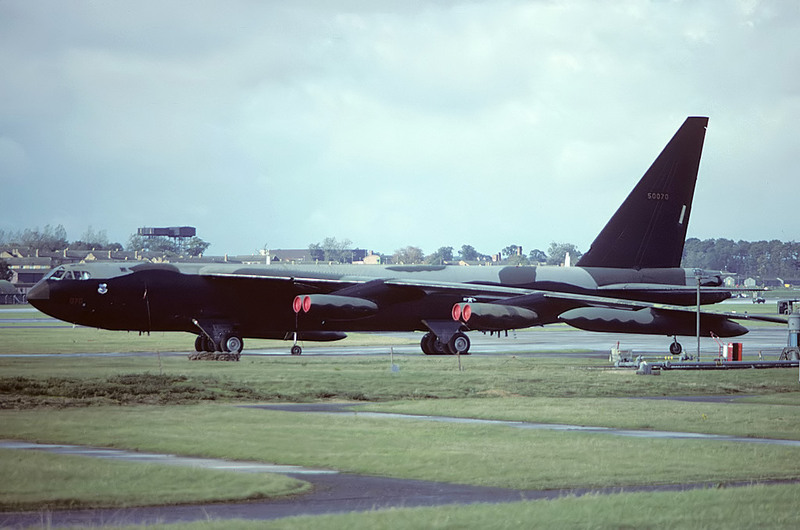 Arrived on 21.2 as ' Havoc 07 ' and acted as the training aircraft prior to Operation ' Noble Anvil ', the bombing campaign against Serbia. 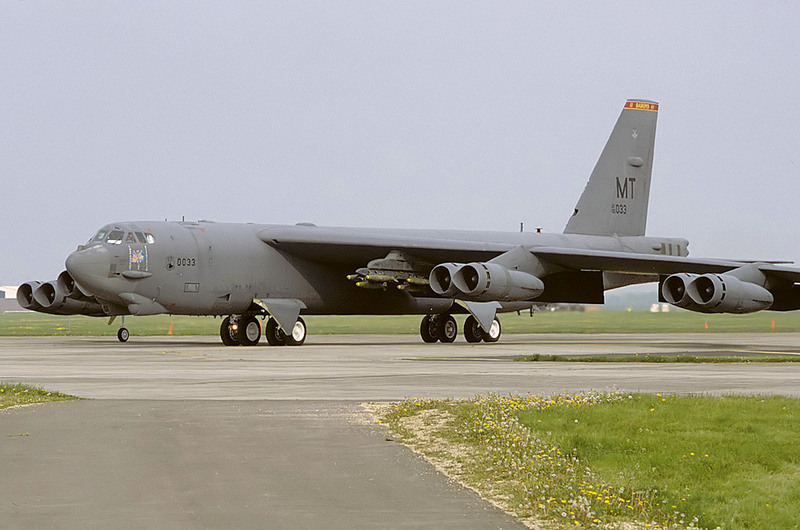 #35 Of the 5th Bomb Wing based at Minot AFB, ND, seen here taxiing to the EOR with a load of 750 lb bombs during Operation ' Nole Anvil ', the bombing campaign in the Balkans. 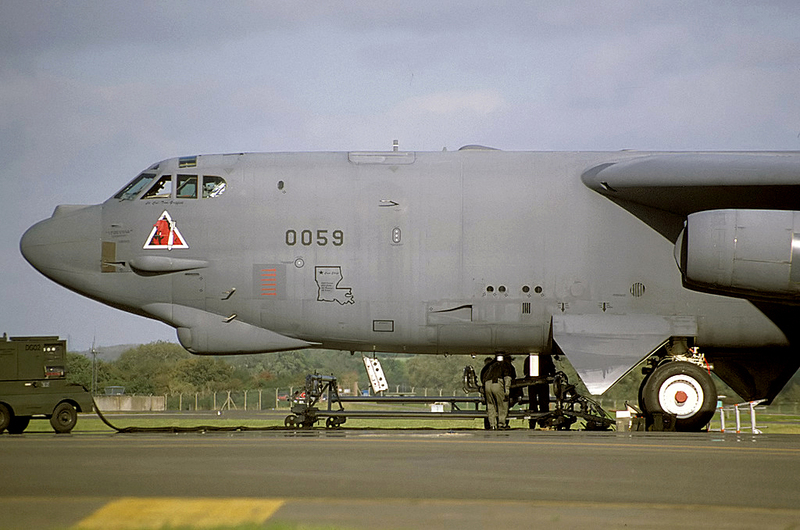 She arrived at Fairford on 1.5.99 as callsign " Nappy 11". 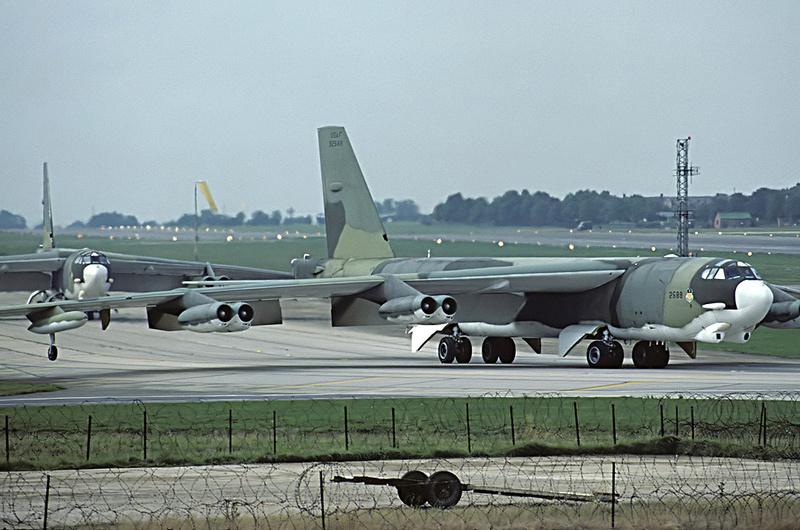 #36 Of the 96th Bomb Squadron, 2nd Bomb Wing seen here fully armed and taxiing to the EOR to conduct another mission in support of Operation ' Noble Anvil ', the air campaign against Serbia. 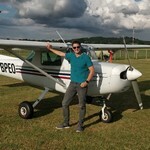 #37 'The Eagle's Wrath II' of the 20th BS/2nd BW. 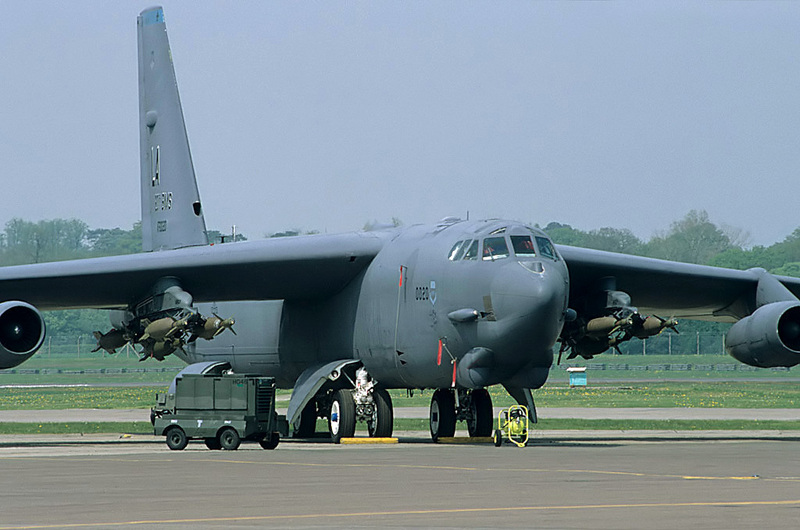 Arrived as callsign 'Tiger 41' on 1.5.99 to take part in 'Operation Noble Anvil', the USAF bombing campaign in the Balkan War. 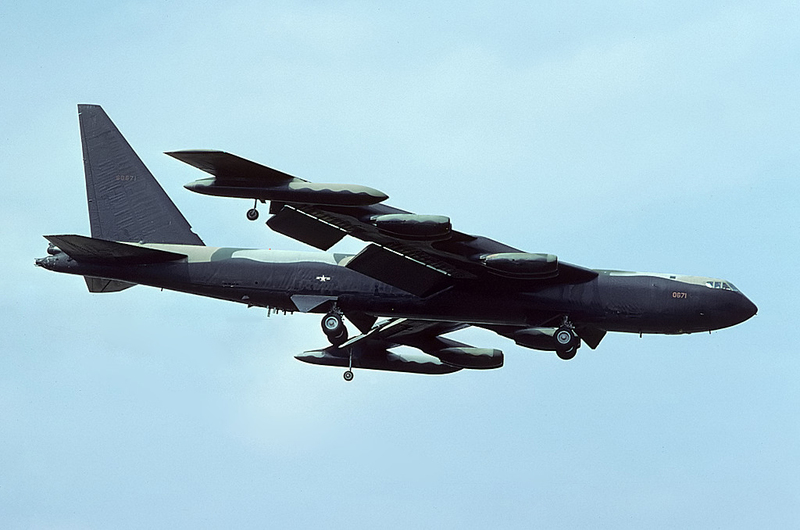 Note the Paveway bomb mounted under the wing. 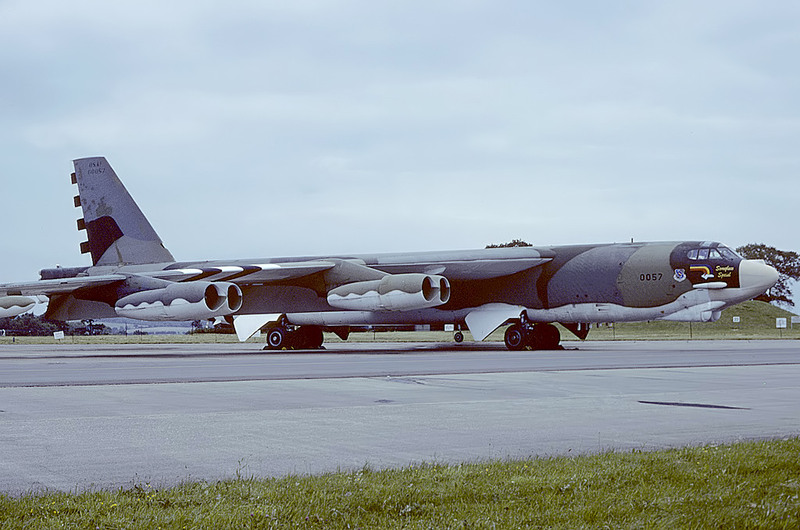 #38 Of the 20th BS/2nd BW seen here in special markings for the 2nd Operations Group.This aircraft is seen just prior to departure back to the USA following Operation 'Noble Anvil', the 78 day air war in the Balkans which ended on 9th June 99. 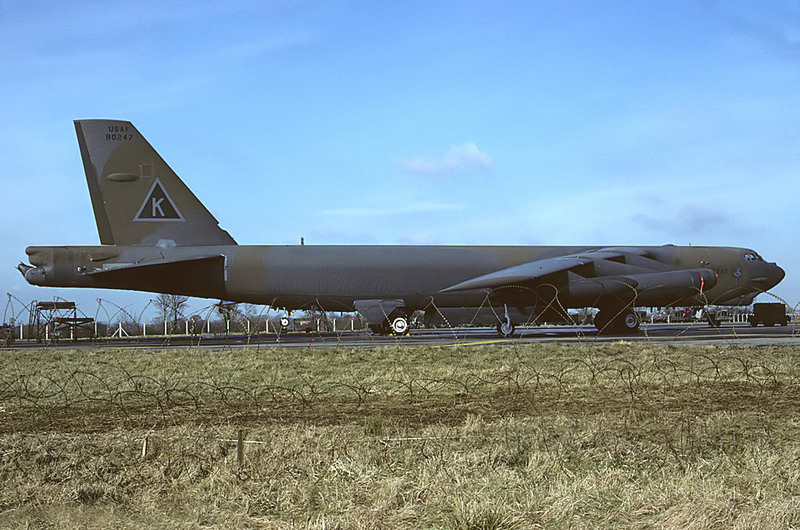 #39 Of the 2nd Bomb Wing seen shortly after arriving as ' Tiger 01 '. 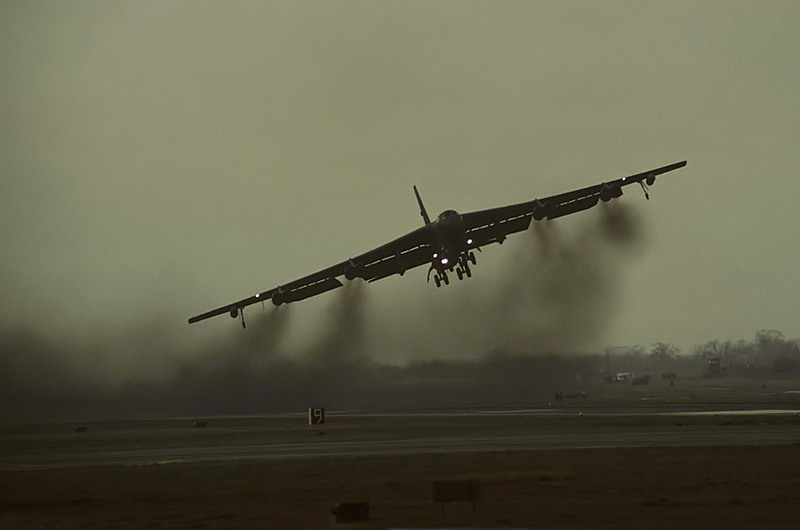 The aircraft declared an emergency with it's number 4 engine out and hydraulic problems. 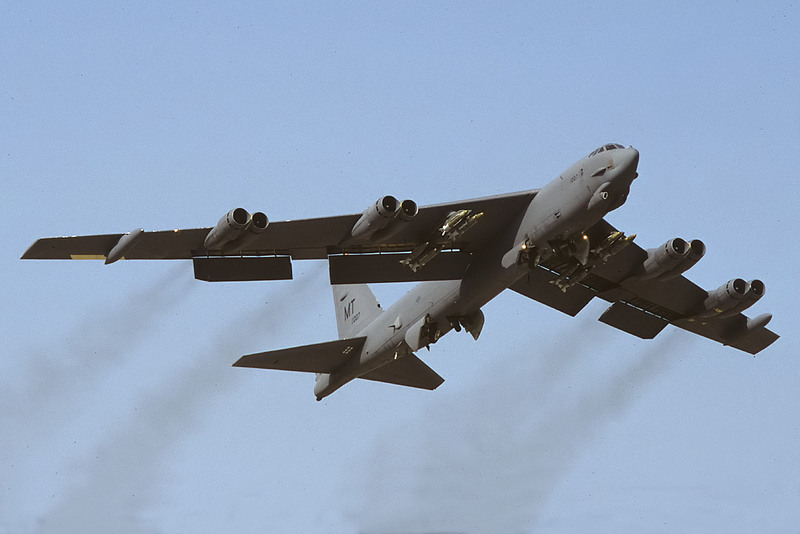 It is seen here carrying AGM-142 TV guided standoff missiles. #41 In early 2003 Buffs from Minot took part in Operation Iraqi Freedom. 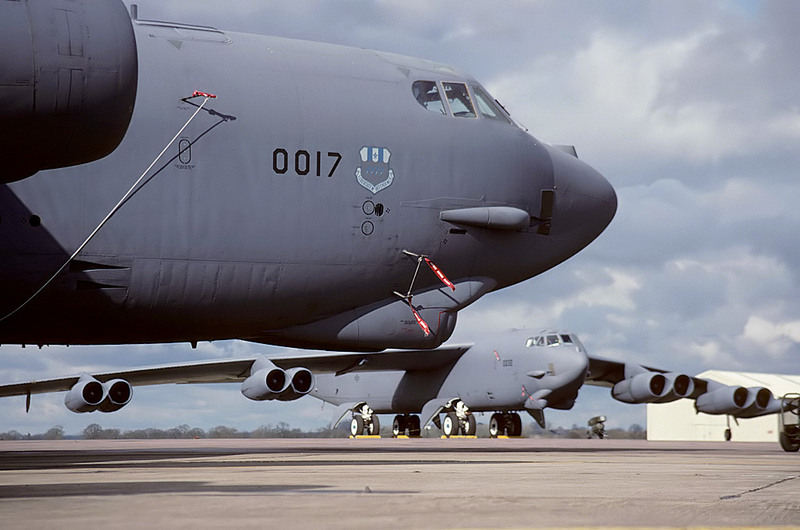 #50 This final one is not from a deployment but from RIAT 97 & I thought I would add it just because its an interesting shot. 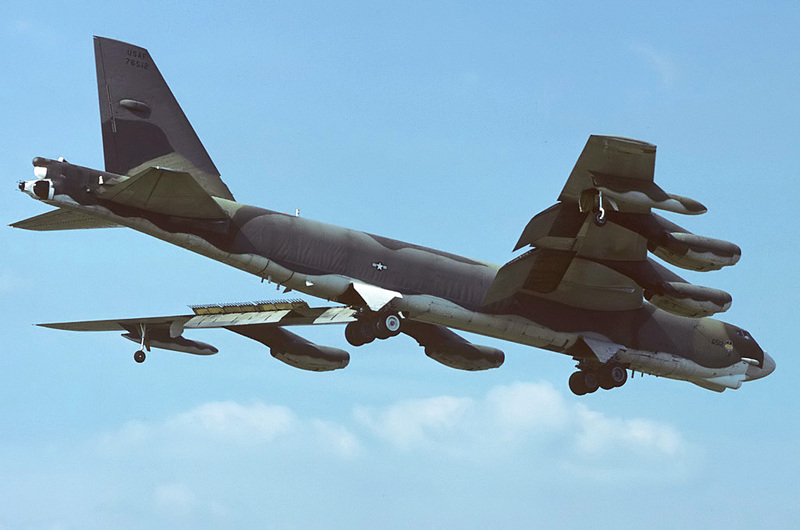 Note the full colour markings on the outboard tank & the pair of F-117's breaking into the circuit. 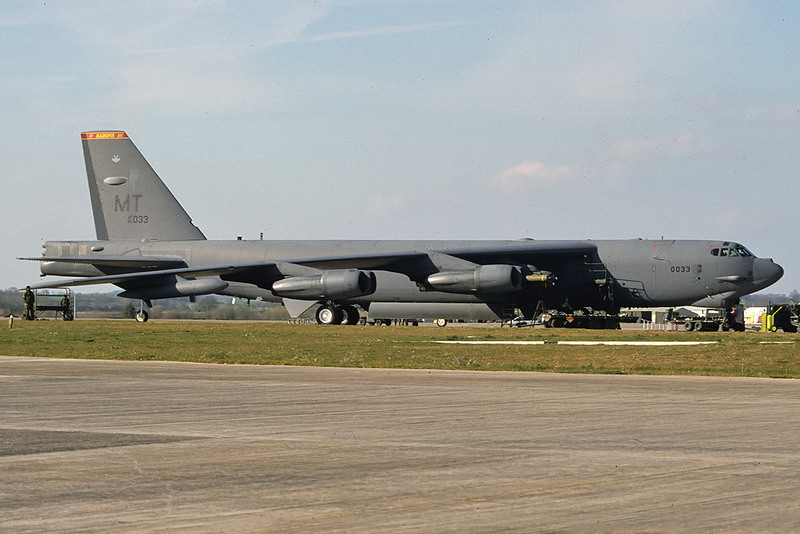 I am still trying to find dates that tie up with the various deployments to Fairford and would be grateful for any information. It would be an added bonus if you happened to have pics of patches made especially for these deployments. Please PM me. Last edited by skyking_comms on Sun 31 May 2015, 3:48 pm, edited 1 time in total. Fantastic thread .love every photo! 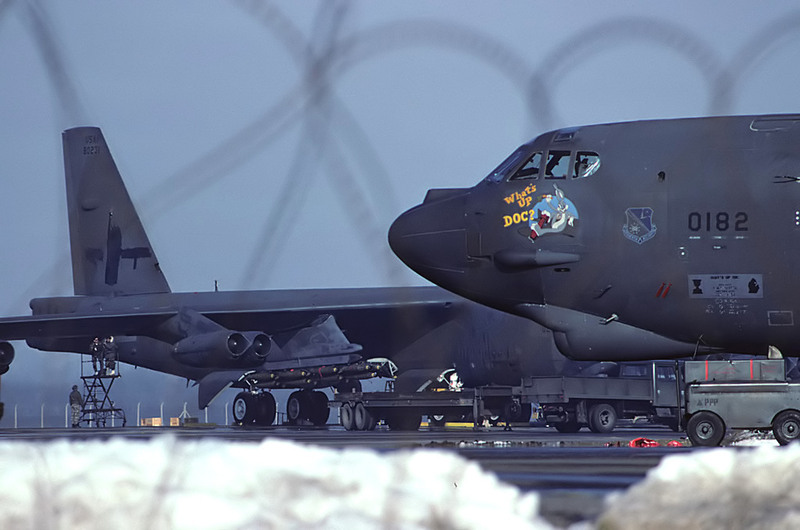 Some great nose art,and i've never seen a B-52 with the nose up? Last one is my favourite with the 2 xF117's, cracking shot. 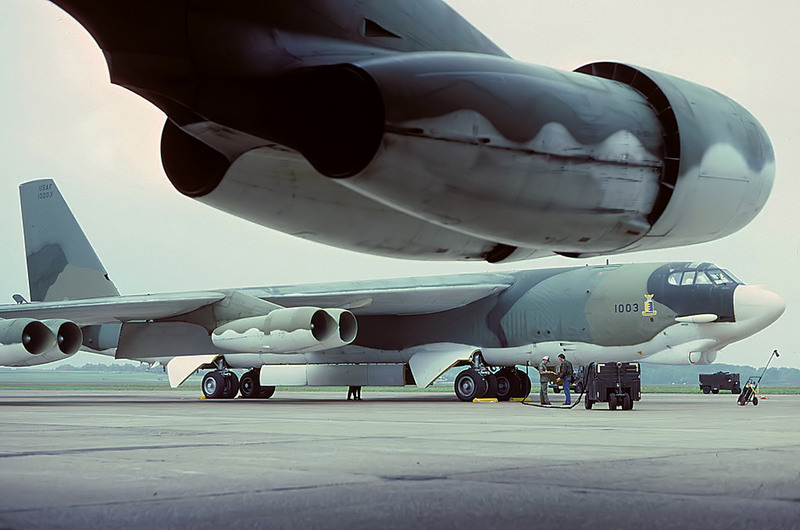 Bet they were with that amount of air / groundcrew , great set of shots . Just one word - superb! Canon PowerShot SX40HS - It's not what you've got - it's what you do with it!